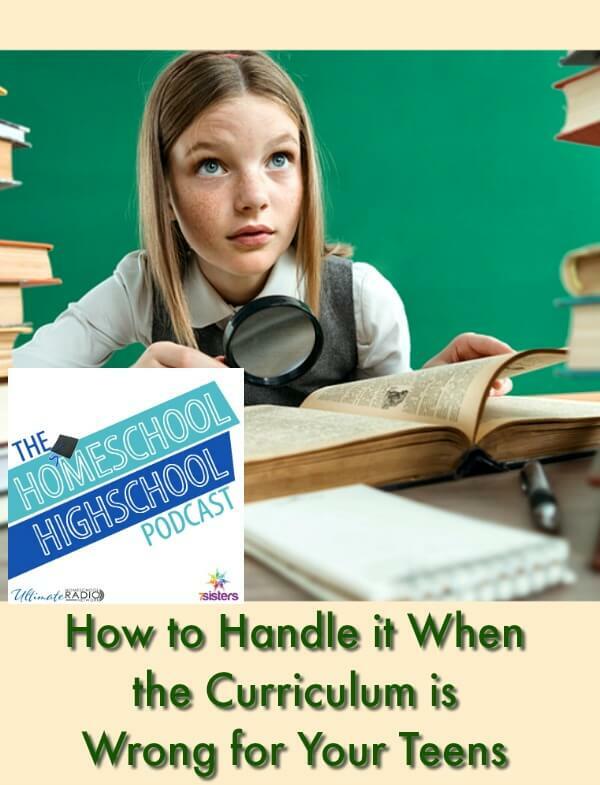 This week on HSHSP Ep 133: How to Handle it When the Curriculum is Wrong for Your Teens. 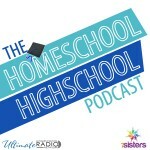 Sabrina, Vicki and Kym tackle the uncomfortable topic: What to do when you bought the WRONG curriculum for your teens? 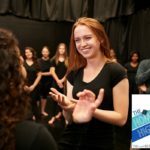 What if you invested in a curriculum that YOU hate? or your homeschool high schoolers hate? There are a few options, and they are good. 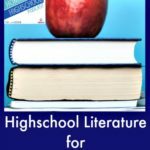 Here’s how to handle it when the curriculum is wrong for your teens. Remember: There’s not ONE right way to homeschool high school? Remember: It’s okay to have options, so forsake your perfectionistic ideas about curriculum and your choices. Remember: Ask yourself, is this ONE subject that your teen doesn’t like or is it ALL subjects? If it is all subjects, it may be other issues besides the specific curriculum? Ask yourself: Is this character, anxiety, health, self-care, wrong publisher? Remember: Model flexibility, adaptability, willingness to change, humility for your teens. Remember: Ask yourself if you have the wrong curriculum, for instance: a college-prep text for a non-college-bound teen? Why waste time, energy and self-image on unnecessary rigor in a textbook. That’s why 7Sisters curriculum is easily adaptable for college bound teens’ needs AND non-college-bound teens’ needs. You have the freedom to create your own curriculum using Carnegie Unit/logging hours. For example, here’s a post on how to log hours for a credit in history. Join a co-op and let another mom teach it. Look for other publishers in your local homeschool group’s library or resource center. Use 1/2 text for .5 credit and using a second text do the second half of the credit. Give away your texts and buy another set. 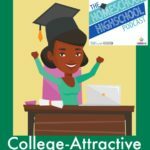 Here’s an HSHSP episode on choosing curriculum. 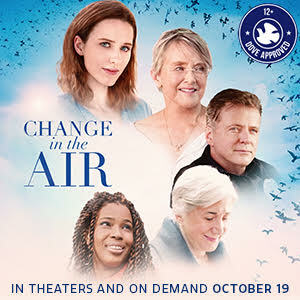 Join Sabrina, Vicki and Kym for a lively discussion and enjoy these posts, too! 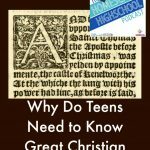 HSHSP Ep 48: Why Do Teens Need to Know Great Christian Writers?